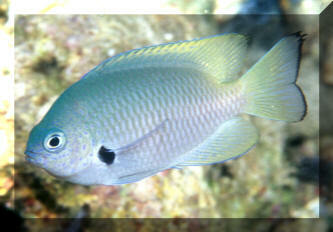 Pomacentrus alexanderae Evermann & Seale 1907, Whitefin Damselfish. Indo-West Pacific; Malay Archipelago to Moluccas, north to Ryukyus. To 9 cm. N. Sulawesi pic. 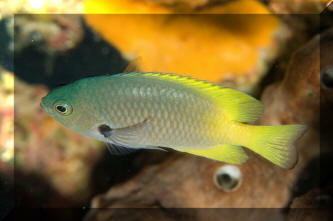 Pomacentrus coelestis Jordan & Starks 1901, one of the Neon Damsels. To three and a half inches in length. Widespread in the Indo-Pacific, and a common import. 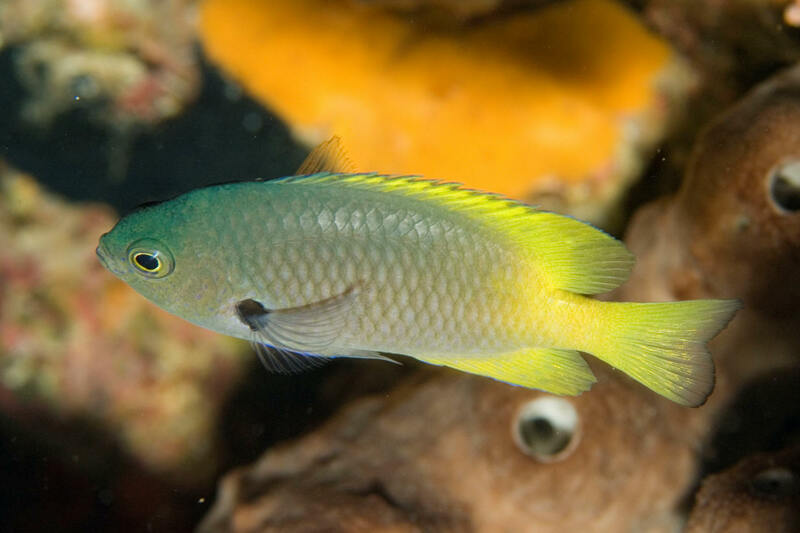 This is a feisty damselfish species, best kept as the only Damsel type in a tank, and allowing a good fifteen gallons plus per specimen. A specimen in shallow water in Huahine, Tuamotus, Fr. Polynesia 2018. Pomacentrus nigromanus Weber 1913, the Goldback Damsel. Western Central Pacific. To 9 cm. This one in S. Sulawesi.